Each person is different with unique characteristics, experiences, processes and needs. There is not one form of therapy which is superior to the rest or effective for everyone. 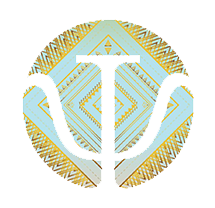 For this reason, psychological therapy often starts with an assessment which enables us to understand your difficulties holistically and accordingly form a treatment plan which feels right for you. My goal is to adapt my clinical knowledge to your therapeutic needs, taking into consideration bio-psycho-social factors, clinical protocols, psychological theories and ethical guidelines. My psychological interventions and therapeutic framework are based on the guidelines provided by the British Psychological Society, Health and Care Professions Council and Cyprus Psychologists Association. Exploring past and present issues, etc. The treatment plan and duration differ from client to client, as they focus on each person’s psychological needs. Therapy takes place in a warm, respectful, non-judgmental environment and aims to help you help yourself. Some of the techniques we could utilise during our work together come from, but are not restricted to, cognitive-behavioural and person-cantered frameworks. Cognitive-behavioural therapy focuses on the ‘here and now’. This problem-oriented approach suggests that thoughts, emotions, behaviour and physiology are interrelated and interdependent. When these systems are dysfunctional, they are more likely to contribute to the development and maintenance of mental health problems. Therapy focuses on re-visiting our thoughts, emotions, behaviour and physiology and identifying ways of improving our mental health. Person-cantered therapy proposes that psychological difficulties arise during experiences in which our sense of self is fractured because our actions constantly depend on the judgments of others. This results in our needs being devalued, which causes distress. The objective of person-cantered therapy is to promote personal growth, increase self-acceptance, decrease distress, and allow ourselves to just be. This type of therapy is more experiential. Other techniques that might be used during therapy are adopted from: the Gestalt framework; schema therapy; emotion-focused therapy; trauma-focused therapies; and mindfulness approaches.